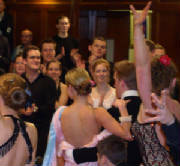 Create your own Dance Community Get - Togethers group, amatuer dance troupes, and social dances .First register by joining the MSN group Dance Community Get - Togethers @ Dance Community . Then you will get the group's emails. This is the groups list serve.